Smartphones aren’t really phones at all—they are highly advanced and highly compact computers. Over the past six decades, there has been a one trillion-fold increase in computing performance. The latest iPhone is several times more powerful than the $32 million Cray-2 Supercomputer developed in 1985. It’s not just processing power that’s improving over time. The average smartphone is equipped with sensors that would have been unimaginable in the past. Accelerometers are axis-based motion sensors that power everything from fitness tracking to augmented reality apps. Gyroscopes help accelerometers understand which way the phone is pointing to change the screen orientation. Magnetometers work with accelerometers and gyroscopes to determine where a phone is in physical space. GPS pings a satellite in space to figure out where on earth you’re located, without requiring cellular data. Other sensors on smartphones include proximity sensors, ambient light sensors and barometers that measure air pressure. Smartphone manufacturers developed these sensors to power phone-related features, but developers are using them for a lot more. In the realm of traffic safety, these sensors have presented a big opportunity to improve road conditions and connect with smart city technologies to maximize safety. Many states are focused on building new roads to reduce traffic congestion. In fact, half of road budgets are routinely spent on expansion projects, which leaves just half of the budget for road maintenance. Every mile of fresh road will also become a mile of old road that eventually needs repair. These dynamics have created a major infrastructure crisis in America. The problem isn’t that traffic engineers don’t know how to maintain the roads in their network. Rather, cities cannot afford the services that provide objective road condition data that enables them to make important maintenance decisions. 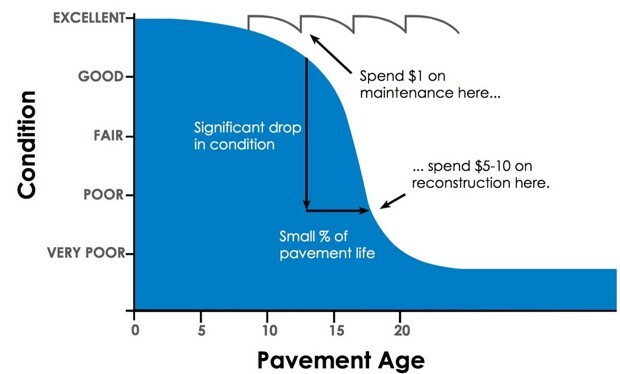 The problem is amplified by the fact that streets don’t wear down at a gradual pace—there’s a turning point that means the difference between low-cost maintenance and major reconstruction. Smartphones could help solve these problems by passively collecting street condition data. Carnegie Mellon University’s Robotics Institute partnered with Pittsburgh’s Public Works Department to install smartphone cameras in city vehicles to capture street images. Using image processing algorithms and GPS data, the researchers categorized road surfaces based on their damage, which could make it much easier to identify and repair roads. TotalPave has taken these concepts and introduced a commercial solution. The Canadian startup developed a smartphone app that collects industry standard road condition data using a smartphone’s GPS and accelerometer, along with any prior road conditions input into the system. The technology spits out a single value of infrastructure quality to prioritize repairs. 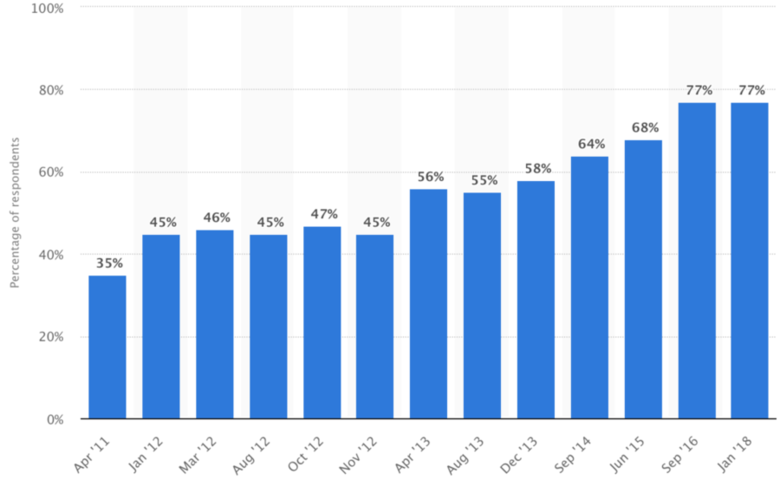 Others aim to leverage the millions of consumer smartphones out there. The City of Boston introduced an iPhone app called Street Bump back in 2012. Like TotalPave, the app leverages the smartphone’s sensors to measure the smoothness of the ride. The city uses this real-time data to fix immediate problems, like potholes, and plan long-term investments. Many cities have started embracing smart city technologies to improve their traffic flow. For example, smart traffic signals can adjust signal timing based on real-time traffic flows rather than relying on preset schedules. Smart preemption systems can help redirect traffic away from emergency vehicles to enable faster response times with fewer accidents. Smartphones could enable consumers to tap into these technologies to realize even more benefits. Applied Information’s TravelSafely™ is a new smartphone application that enables everyday citizens to harness the power of smart city technologies. By interfacing with the Glance Smart City Supervisory System, our central system for cities, the app connects with both traffic infrastructure, municipal vehicles and other users to greatly enhance safety. Get Ready for Green™ displays a countdown and verbal notification when the light is about to turn green. Red Light Warning notifies you when you’re about to run a red light. School Zone Warning notifies you when you’re speeding in an active school zone. Work Zone Warning notifies you when you’re speeding in an active work zone and shows you the speed limit. Curve Warning warns you when you’re traveling too fast with dangerous curves ahead. Slow Speed Zone Warning warns you if you’re traveling too fast in an area of increased accidents. Cyclist Ahead Warning warns you if there’s a cyclist on the road ahead. Pedestrian Ahead Warning warns you of pedestrians in the crosswalk ahead if it detects you aren’t going to stop before a crosswalk. Emergency Vehicle Warning notifies you if an emergency vehicle is approaching and from what direction. Rear-end Collision Warning notifies you that you’re about to have a rear-end collision. Vehicle Approaching Crosswalk tells you if a speeding car is approaching while you’re in a crosswalk. Vehicle Approaching Cyclist tells you if a speeding car will pass close by. Cities interested in deploying these kinds of technologies may want to take a look at our six smart city solutions, including school zone flashing beacons, preemption technology, traffic intersection systems, parking solutions, connected vehicle technologies and ITS systems. Smartphones are quickly becoming a powerful tool for traffic safety. In addition to improving road maintenance, smartphones enable consumers to interface with smart city technologies and realize numerous benefits. Cities that want to benefit from lower costs, more efficient traffic and better safety may want to consider these technologies to stay ahead of the curve. 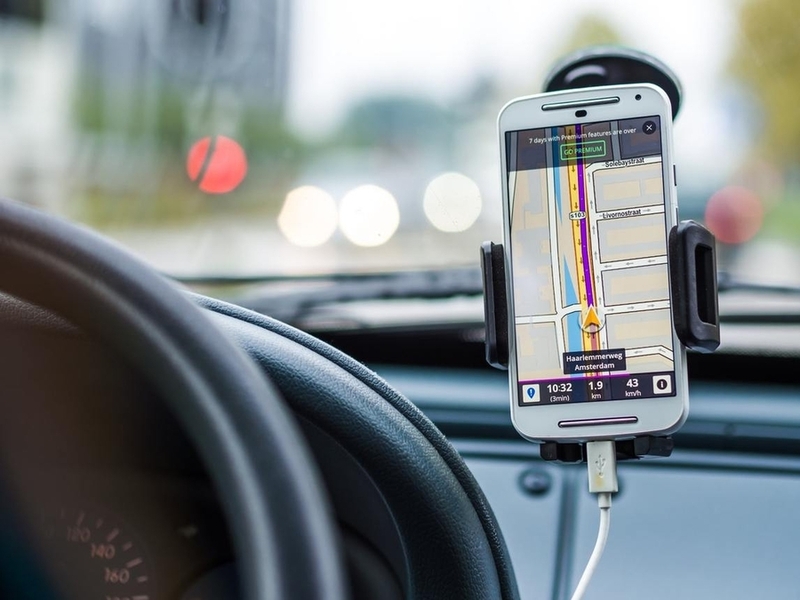 Use these strategies to reduce traffic congestion arising from Waze and other traffic apps.